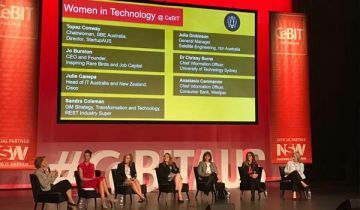 Women in Technology were a key feature of the first afternoon of CEBIT Australia 2017 with an insightful strategic panel session highlighting that while many areas of ICT face skills shortages the percentage of women in technology is still disproportionately low. A panel of high profile female technology executives - from organisations including StartupAus (Topaz Conway), CISCO (Julie Canepa), Westpac (Anastasia Cammaroto), University of Technology Sydney (Dr Chrissy Burns), NBN Australia (Julia DIckinson), Inspiring Rare Birds (Jo Burston), and REST Industry Super (Sandra Coleman) - shared their learnings and discussed how to attract and retain more female technology professionals and foster female entrepreneurs. Promoting the importance of other skills like collaboration. 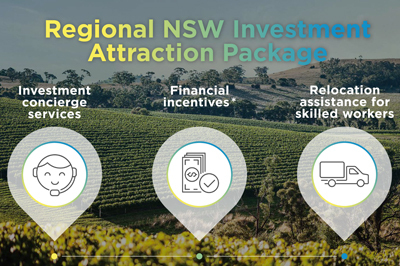 The NSW Government is supporting a number of female entrepreneurs at the NSW stand at CeBIT and in the StartUp Zone. Spot Parking CEO Elizabeth Zealand, whose technology company helps cities manage parking and drivers find parking spots in real time, said: “Too often technology is seen as a support rather than a strategic partner to gain competitive advantage. The important thing is to understand the problem you are trying to solve and the effect on the customer rather than the technology in isolation. While we need to continue encouraging women's participation in STEM disciplines, there are also paths through law, management and change management that can contribute to innovative technology outcomes."